Create your first report in less than 10 minutes! 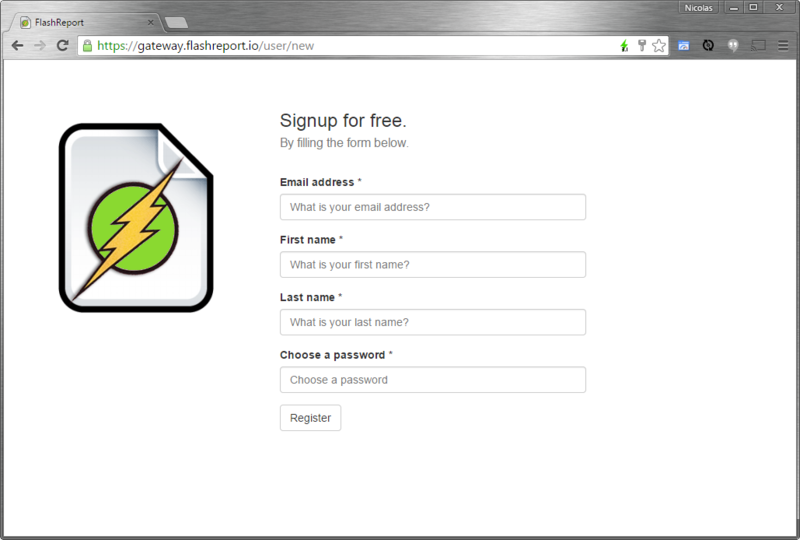 Skip steps 1 and 2 if you already have a Flashreport account. 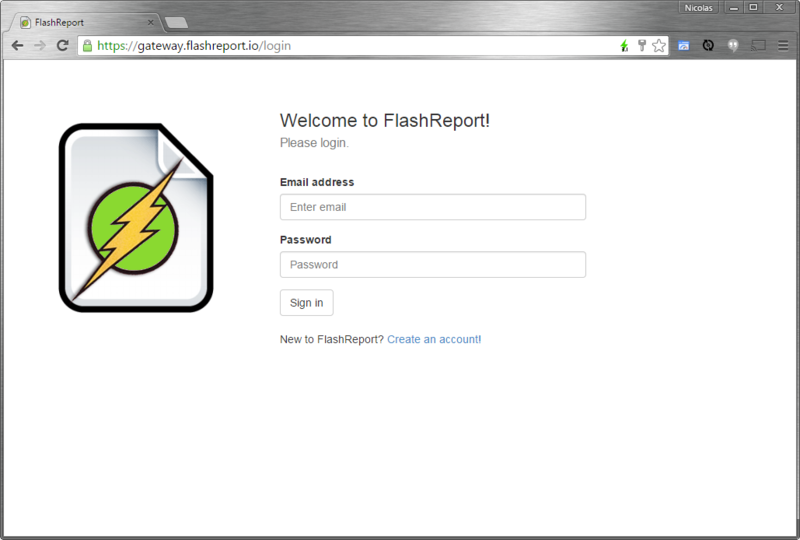 Please note that if you are using Flashreport from a PaaS marketplace such as Cloud Foundry, steps 1 and 2 will be handled from that marketplace. 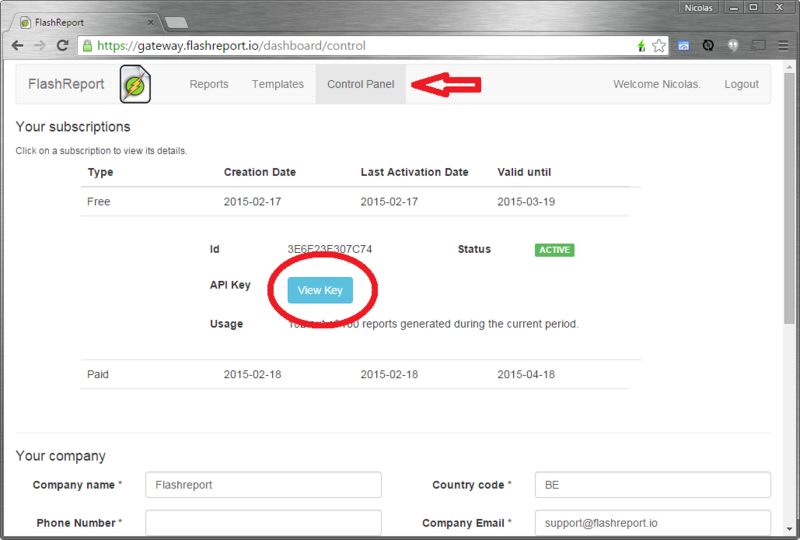 Access the control panel screen, click on your free subscription to open it, and click on the view key button. Open a command prompt in your test directory, and execute this Curl command. Insert the API key you retrieved from step 3, keep the trailing colon. Access the reports screen, click on the download icon of the first row. Access the templates screen, enter orders as template name, choose the JRXML file you just downloaded, and press Add template. 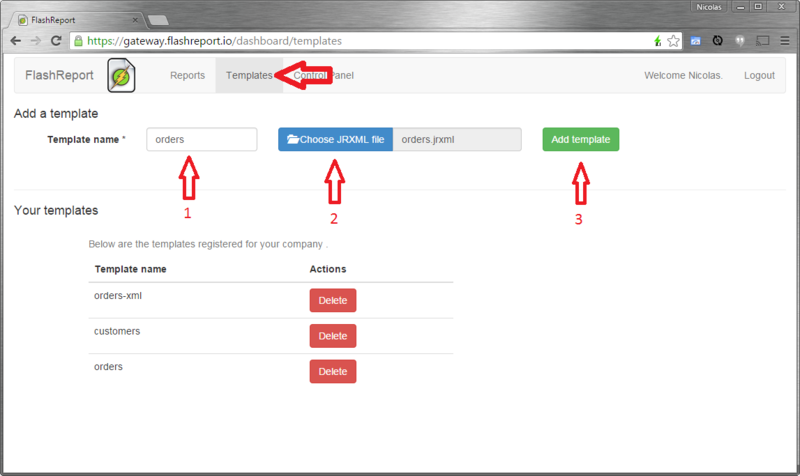 The orders template appears in the list of registered templates. Go back to your command prompt, and execute this Curl command. Insert the API key you retrieved from step 3, keep the trailing colon. 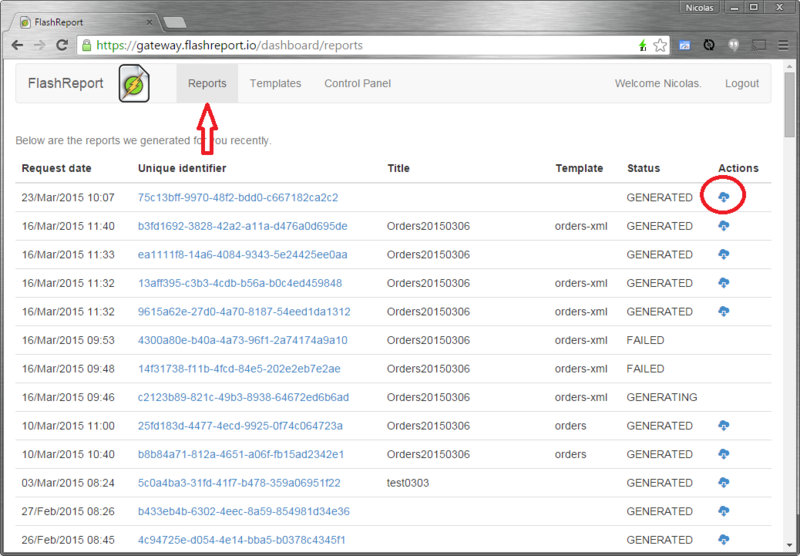 Access the reports screen again, click on the download icon of the first row. Because we used a template, we were able to use custom headers and footers, sort data per country, count orders per city, and include a pie chart. Designing a template is extra work, but is necessary to have better looking reports. We recommend that you use Jaspersoft Studio to design your template and test it with your data file. You have successfully generated a PDF document from JSON data, with and without using a template. Read the documentation to learn about additional options.